It is hard to believe it is already MAY - time seems to be moving faster and faster, or maybe I am just getting slower and slower?!?! This is such a fun time to be involved with this creative community. Most of us in the Northern hemisphere are starting to wake up to sunshine, longer days and warmer weather. This all means time for new patterns and fun new spring clothes. The new opportunities this spring are overwhelming, each day I look at the photos on Instagram and am so impressed at all the talent and creativity. 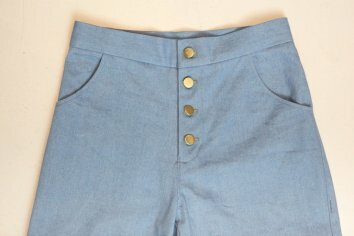 Kelli from True Bias released an Zipper Fly expansion for the Lander Pants, and and tutorial on changing the pocket to an inside pocket! I had a fun coffee break in April and got to chat with Kelli in person when she was in town! Kellie is the sweetest and her daughter was willing to take a photo of us while being so patient with us. Indie Sew introduced the 2018 Seamly Spring Collection - these are such cozy and practical patterns, you will want these in your wardrobe! Grab some soft, natural fiber fabrics and get sewing. Check out Indie Sew here! Lisa Comfort has the amazing ability keep adding great patterns, fabrics, the new Cardigan, her shops are amazing...makes me wonder if she ever sleeps. This time she has a new skirt pattern, the Emmeline Skirt. This skirt has a flattering, high waist with a button front, and beautiful bow belt, along with half-stitched inverted box pleats. This is a great make with some of our Rayon challis, beautiful Viscose prints, or any stable woven fabric. You must check out all of the patterns we stock from Sew Over It - they are perfect for summer! Adrianna of Hey June Handmade released the Amalfi Dress. This is a great summer dress that you can personalize to be fun and playful by day or slinky and dressy for an evening out! (if you check out her blog you will also find a tutorial to turn this into a cute peplum top by Lara Liz!) 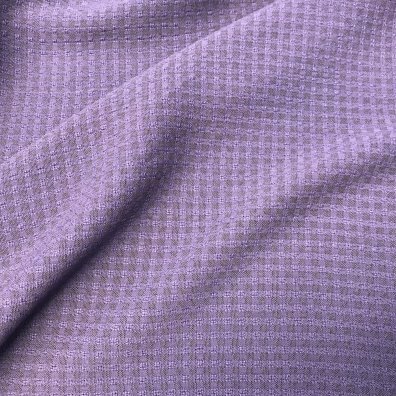 Check out some of our new Rayon Challis, Rayon Crepe or even a fun Cotton Jersey stocked in the Studio. 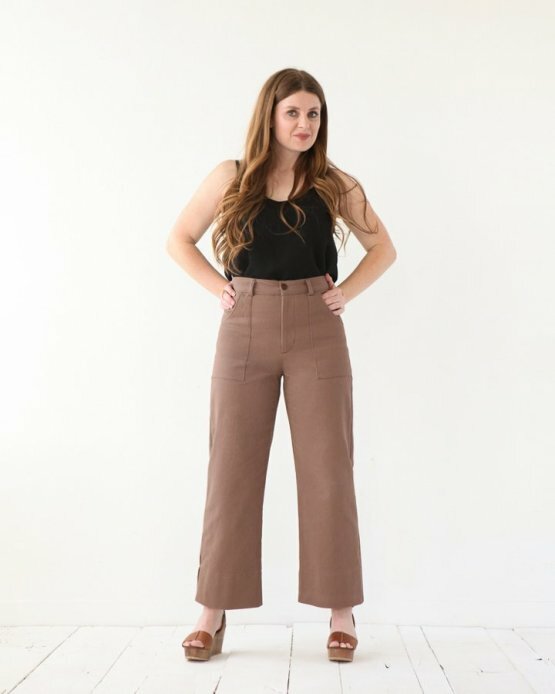 The latest rage is the Jenny Trousers & Overall Pattern from Closet Cast Patterns. 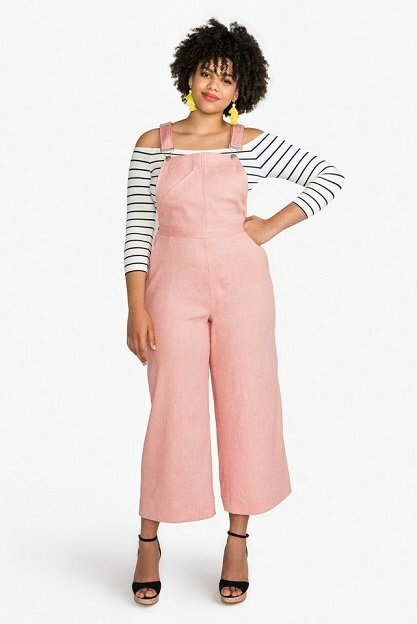 We all know how we feel about Overalls - just admit it...they remind you of your youth and then you add this modern pattern take on them, it is to die for. These are a more sophisticated version of dungarees, or you can choose to make them in the pant version. We all know Closet Case Patterns are well written and have easy to follow instructions. These would be wonderful in any of our denims, twills or how about the Silk Noil? These are just a very few of the latest patterns. Check out each of these designers websites to find other wonderful designs, some of these we stock in paper if you prefer to skip the PDF options. 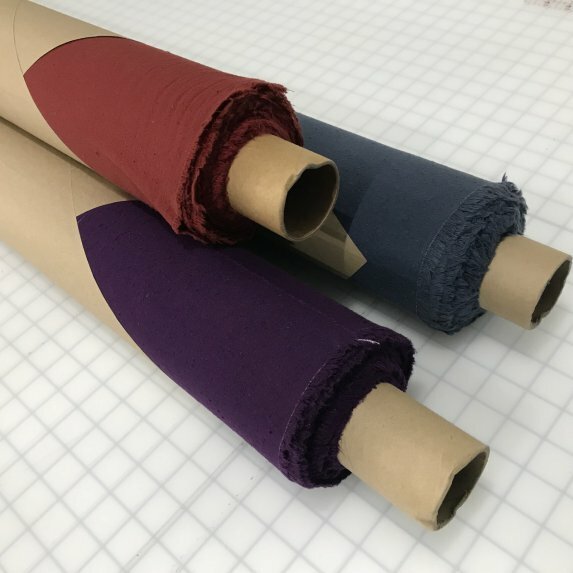 We have SO many spring and summer fabrics in the Studio and lots more coming - watch for the weekly Thursday email with weekend specials and Manic Monday fabrics are always a great value for precuts and one or two bolts that are offered at special pricing. Thanks for all of the support this community offers - this is an amazing community to be a part of! Grab some fabric, download a pattern and get sewing yourself a new spring outfit.